“The federal government faces a fiscal challenge unlike any other in US history. Unless budgetary reforms are made, the federal debt will soon rise to fiscally dangerous levels,” said John Cogan, Hoover’s Leonard and Shirley Ely Senior Fellow. “This imbalance would produce a dire financial scenario impacting US society, endangering our American way of life in general,” added John Raisian, Hoover’s Boyd and Jill Smith Senior Fellow. Cogan is an expert in US budget and fiscal policy, federal entitlement programs, and health care, and served as the deputy director of the US Office of Management and Budget. Raisian served in the Reagan administration and is the former director of the Hoover Institution for 26 years. 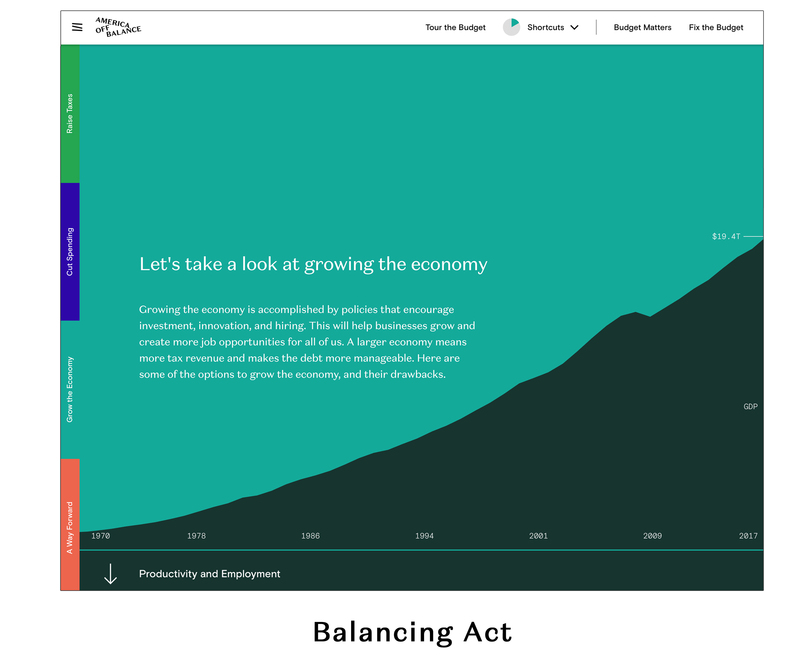 The Balancing Act is an interactive tour of the budget that highlights the effectiveness of popular budget and economic reform proposals. Users discover how piecemeal reforms are insufficient for solving the budget crisis and learn that avoiding massive debt requires inescapably overhauling entitlement programs and pursuing pro-growth economic reforms. 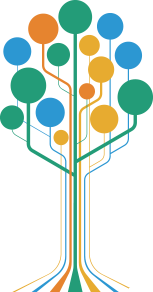 The Budget Calculator is a transparent and comprehensive tool designed to identify and test new budget reforms. It empowers policymakers, staffers, journalists, and the general public to discover, assess, and share innovative budget ideas. It offers significant functional improvement over existing budget calculators. The calculator gives users the ability to alter how spending programs grow, test different economic assumptions, and see the impact of specific budget reforms. It will be updated regularly to reflect new budget and economic data. Budget Matters features regular articles on the budget and offers in-depth analyses of potential budget reforms. 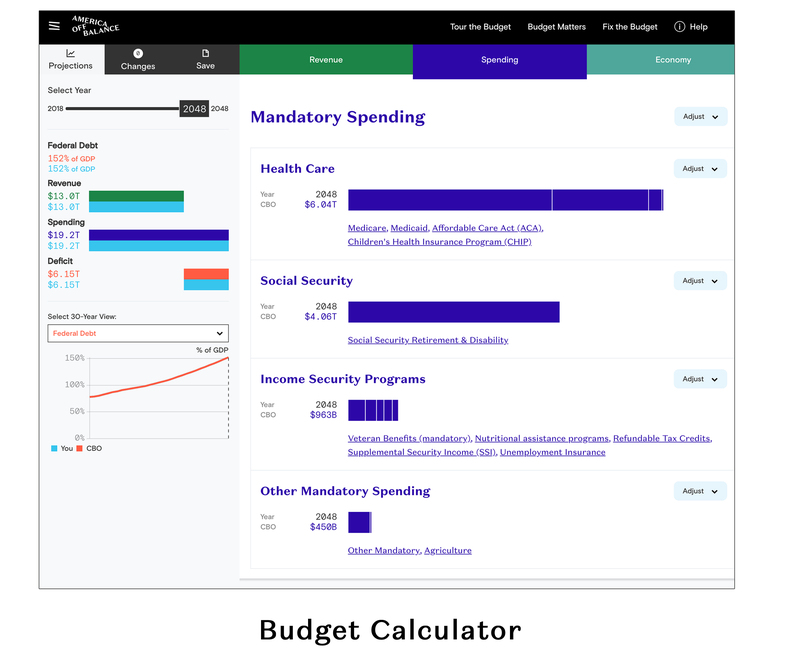 The platform uses the Budget Calculator's powerful tools to illuminate and simplify complicated budget issues. "We hope to spur a dialogue about the debt and reforms available to protect future generations. The Budget Calculator is a valuable tool toward this end,” said Cogan. “Instead, we want visitors to discover and test their own solutions and share these ideas with the larger public,” added Raisian. The Hoover Institution, Stanford University, is a public policy research center devoted to the advanced study of economics, politics, history, and political economy—both domestic and foreign—as well as international affairs. With its eminent scholars and world-renowned Library & Archives, the Hoover Institution seeks to improve the human condition by advancing ideas that promote economic opportunity and prosperity and secure and safeguard peace for America and all mankind.